Hooray for a little crafting time! 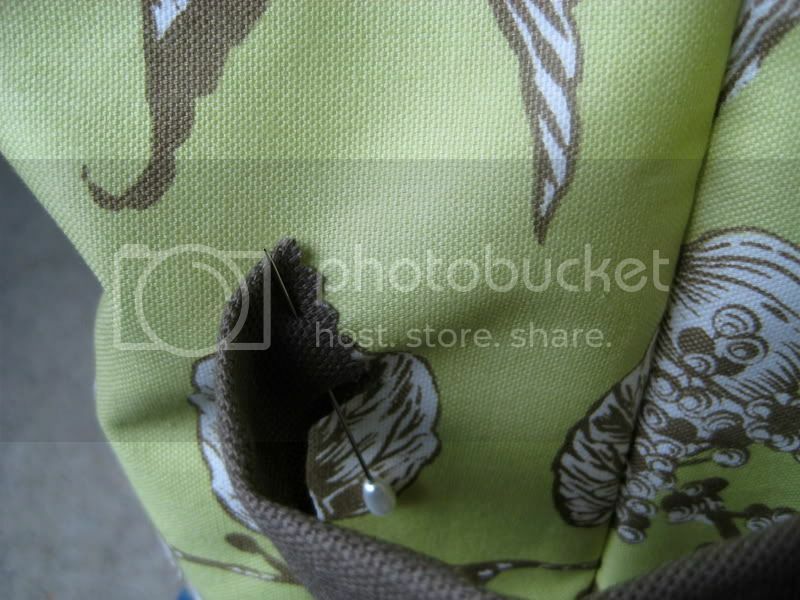 Here's a little square-bottomed canvas bucket i made last night. The design uses a Jordy bag style to get the squared bottom. I kept the height short so it would have a chance of standing on its own (and it does! 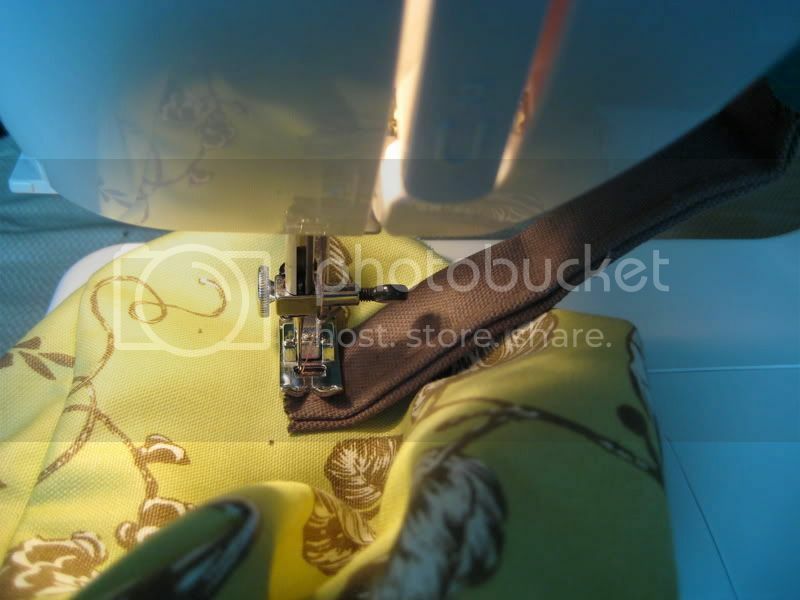 ), and the two little handles on either side are sewn onto the outer fabric with a tight zig-zag stitch. The FO is about 6.5 inches all around (height, width, length). 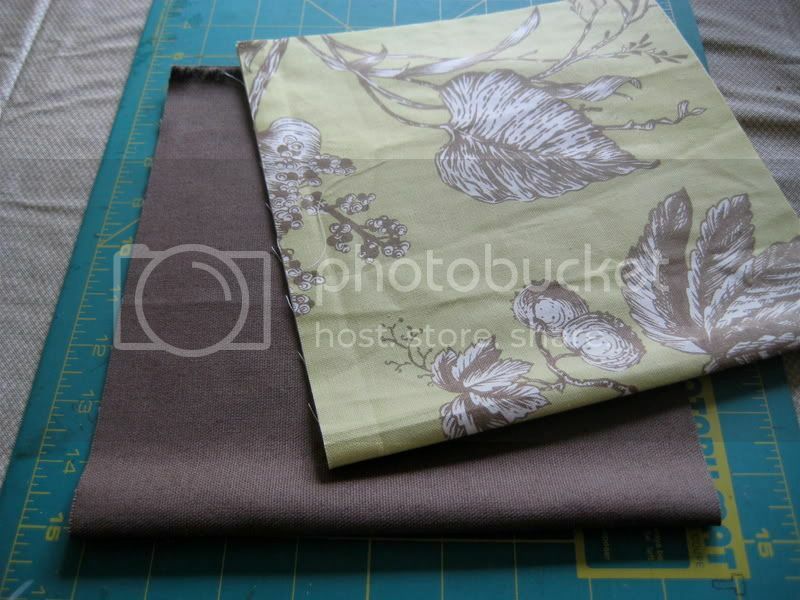 I purchased both the outer and lining fabric for close to nothing at a remnant/outlet store -- woo hoo! (The colors look a little washed out in the photos; It's a light lime/chartreuse and a real chocolatey brown.) 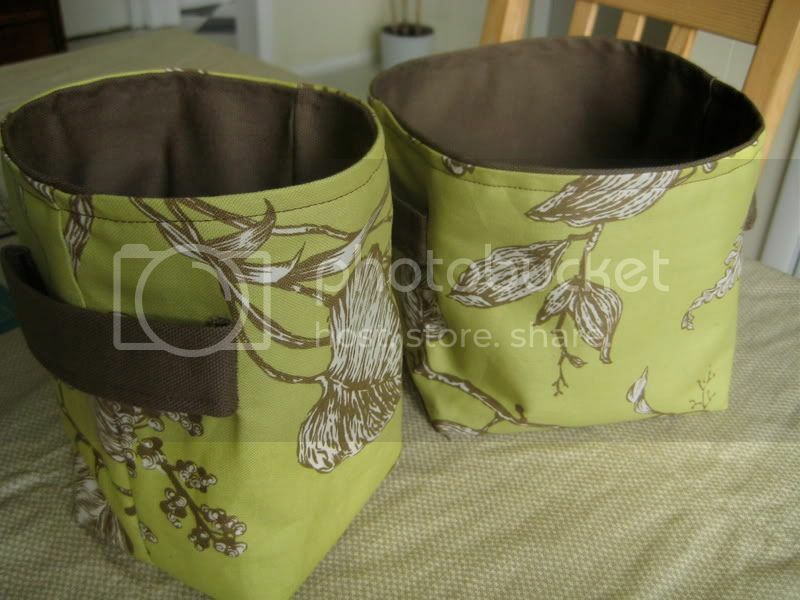 I'm thinking about making a set of three, in different sizes using the same fabric. Now, if only I knew what to put in it. Any ideas? * Don't forget seam allowances. cut out 10cm squares on the corner to get that "I" shape and then you are off and running!! Again, if you want it to be an EXACT size make sure you add in a seam allowance..
FYI: The bucket I made in this tutorial is a bit taller with a smaller base. 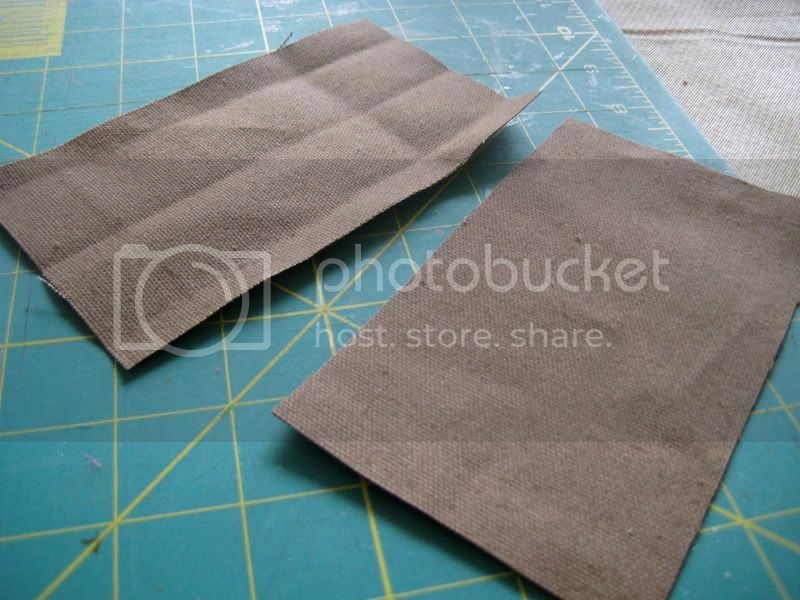 Cut squares out of the corners of the folded edge. For my six-inch box, I cut 3-inch (minus seam allowance) squares. Step 2: Sew the outer fabric. Step 3: Sew the lining. 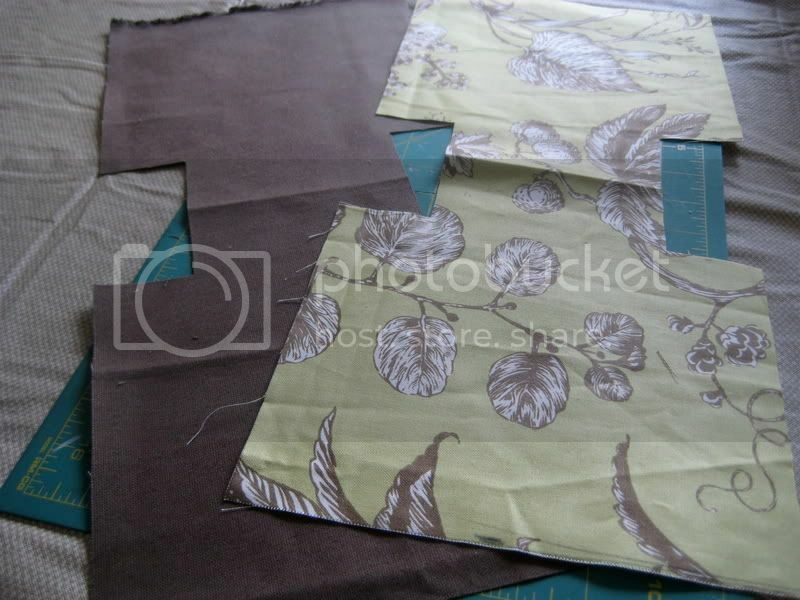 Do the same thing you did to the outer fabric, but leave one corner open for turning! For my handles, I cut two 6 x 3.5 inch strips of lining fabric. Fold the edges, fold in half, and sew. Pink the edges. Center the handle on the side of the outer fabric piece. 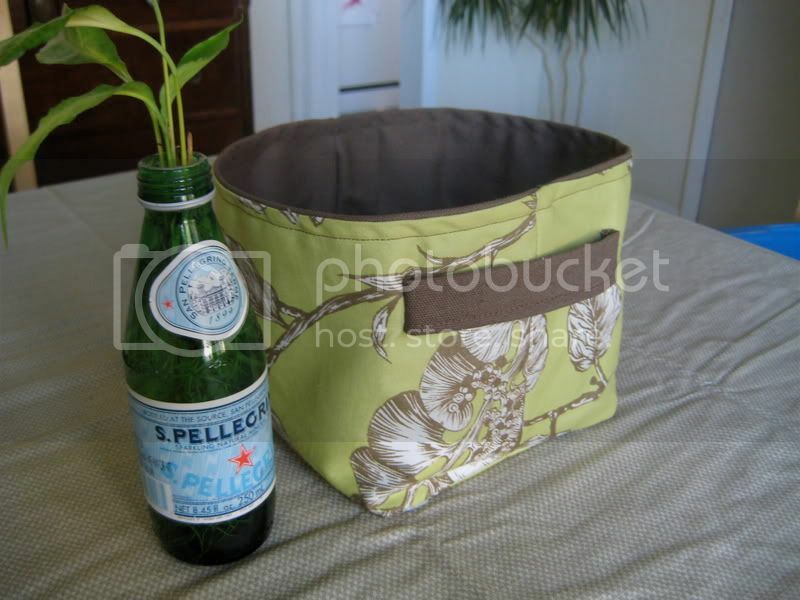 (I put mine on the seam side because it was easier to center it) Using a tight zig-zag stitch, sew one side of the handle to the outer fabric. Mark and pin the other side of the handle, and sew. This is a little tricky so be patient. Repeat on the other side. With right sides together, lining inside of the outer piece, match edges, pin, and sew. Turn right side out. Sew open corner of lining closed. 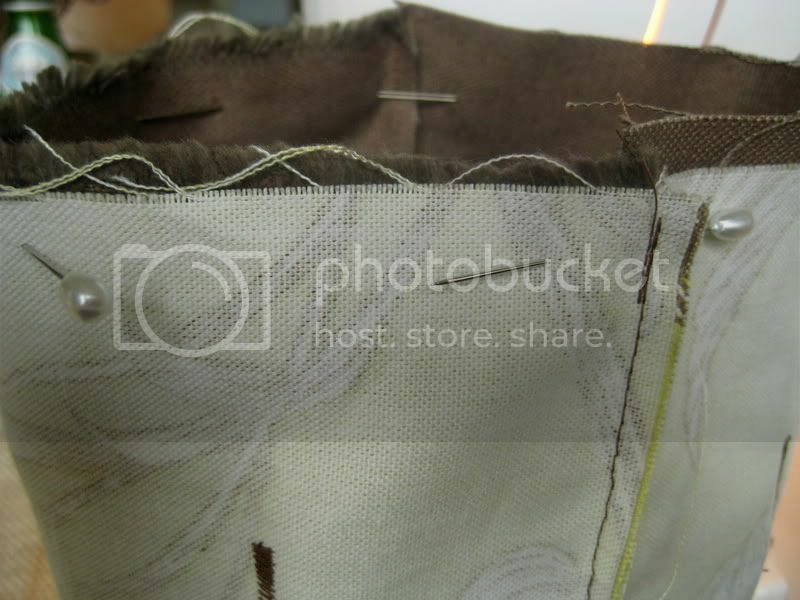 Tuck lining into outer fabric, press the seam edge, and stitch around the top to finish. If you make one, show it off! I did not use any interfacing, but that would be a great addition, especially if you were thinking about hanging these from a wall and wanted them to keep their boxy shape better. The canvas I used holds up really well, and when I put stuff inside, it tends to bolster it further. so cute! so many possible uses! i can foresee stuff like office supplies in it! 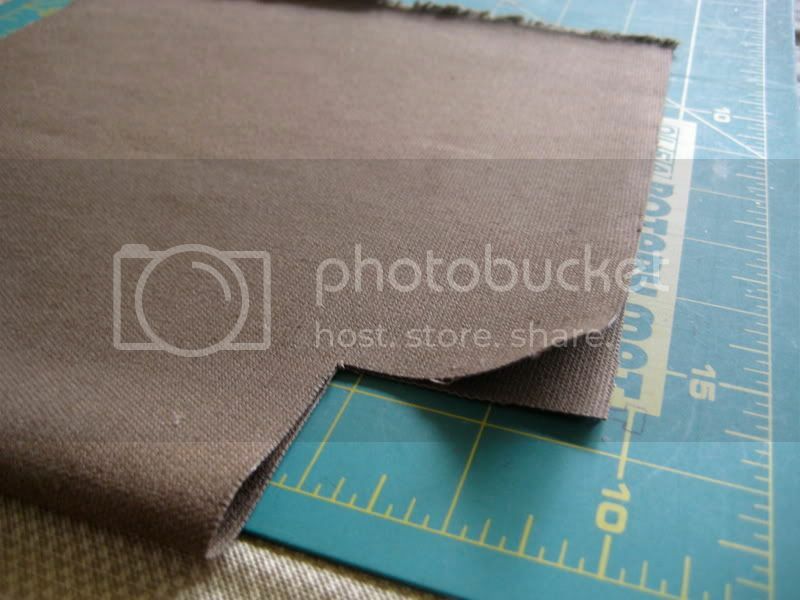 to make it 'strong enough' to hold stuff like pens and scissors, i would probably hide inside the layers plastic canvas cut to the height (leave a turning seam large enough to slide in and topstitch all around) and another piece just laid inside the bottom to give more strength. the bonus of plastic canvas (over cardboard) is that you'll be able to launder it w/o the innards falling apart in the washer. i may end up making something similar actually! they would be more child friendly than my current coffee mug method for holding pens and 'stuff' at my computer. 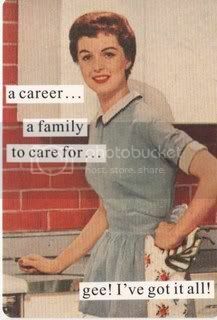 . .
mommy to three amazing children on earth! ooh, so cute! i'd like to do something similar too! 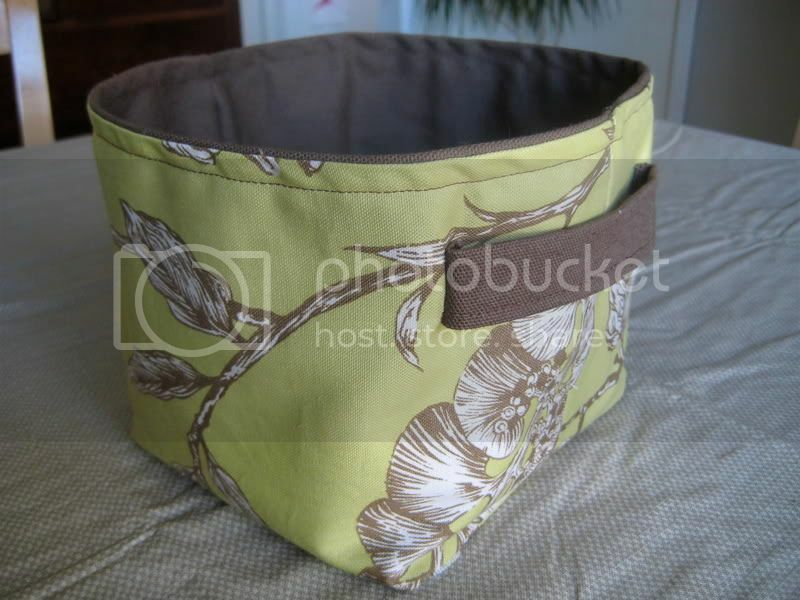 whenever i see those storage bins kind of like this from pottery barn or something, i always think i want them. i'd be so organized! though i'm really not terribly disorganized to begin with. though i'd have to make it bigger and fill it with yarn! Love this! Great job. I've been looking at something like this for my girls' room and never thought to make them. Thanks for the inspiration. Would like to be a wicked betta knitta! Great project. I would use it for my knitting projects. 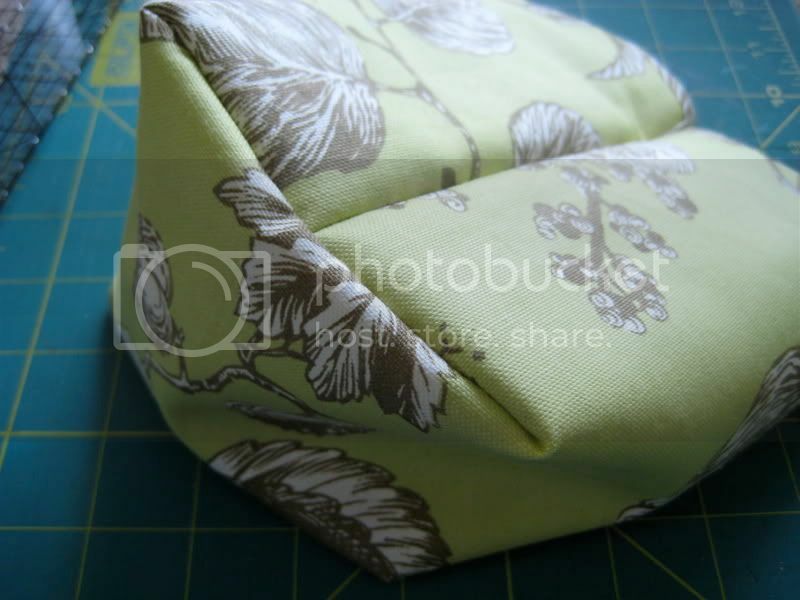 In fact, I hope to make one in fabric left over from my pillows for my family room. That way my current WIP will be in a nice basket that matches my room. Thanks for the great idea.